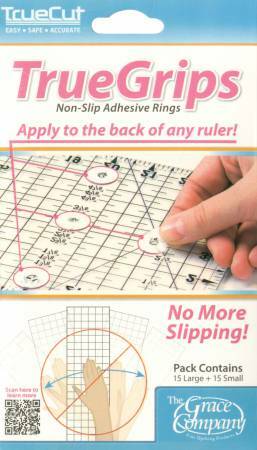 For straight, precise cuts, enhance your ruler by addingnon-slip TrueGrips! Increases safety and cutting accuracy bypreventing slipping. Transparent for easy fabric visibility!15 grips per package.